Hello everyone! 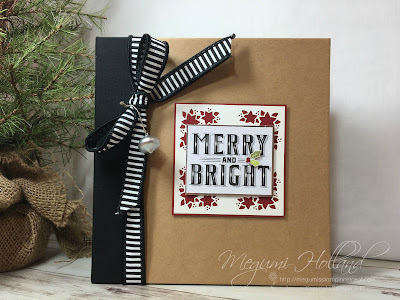 I have some adorable projects to share with you today from my upcoming Big Shot Class. 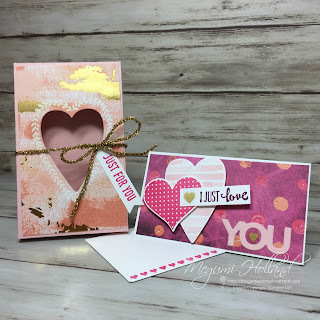 We are making a cute treat box using the Lots to Love Box Framelits Dies and the Sure Do Love You Stamp Set. Super cute! 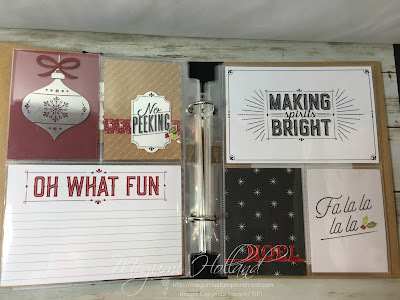 We are also making a pretty card that features the new Whisper White Narrow Note Cards and Envelopes. This is a brand-new product in the Occasions Catalog. These note cards and envelopes fit neatly in boxes you make using the Lots to Love Box Framelits Dies. RSVP - Click HERE to register online. You will receive a confirmation via email once your registration is complete. Hope you are enjoying this year's Sale-A-Bration promotion. It's our biggest promotion of the year! Everyone loves it since we get to choose a FREE product from the Sale-A-Bration brochure for each $50 order. What a sweet deal!!! One of my favorite products in the Sale-A-Bration brochure is Heartfelt Blooms Stamp Set. 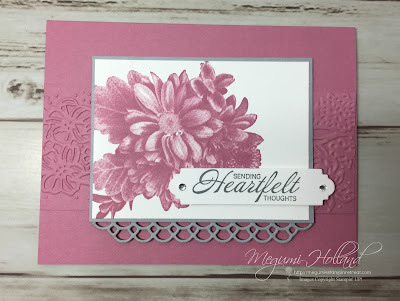 It is made by a new process Stampin' Up! has developed called "Distinktive". It lays down the ink at different opacities giving the finished image more depth - just ink the surface lightly for a perfect photographic finish. It's amazing!!! 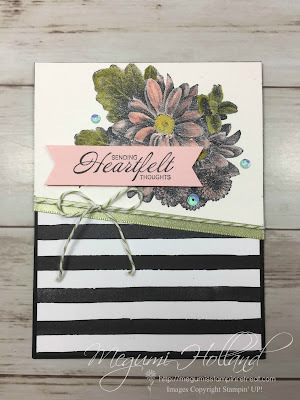 To make this card I stamped the floral image in Basic Black Archival Ink on a piece of Shimmery White Card Stock and then colored it with my Aqua Painter using Powder Pink, Crushed Curry and Old Olive Ink Pads. 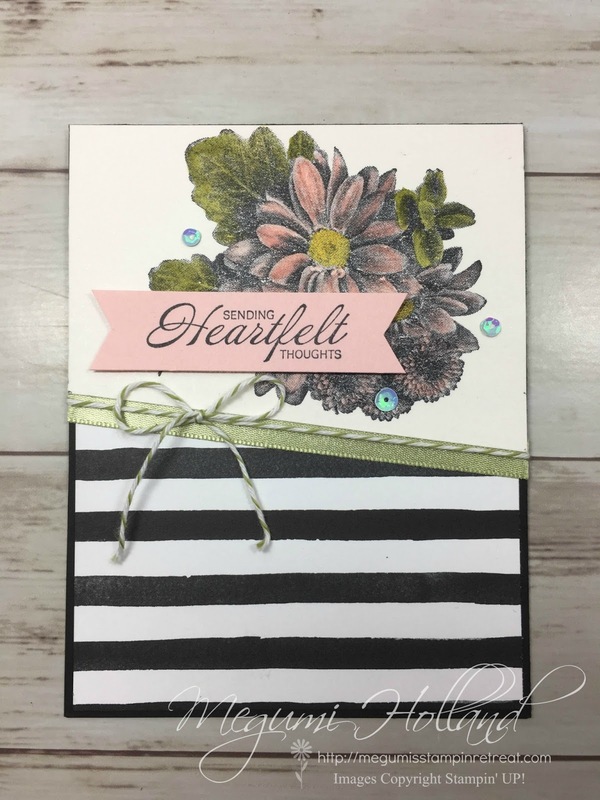 It's super easy and so pretty! 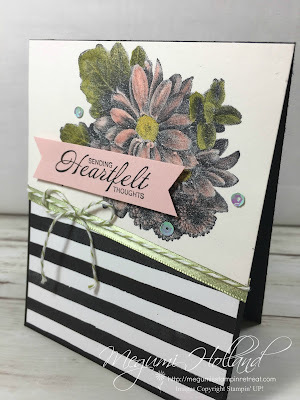 Watch this video to see how Brandi made her beautiful projects using the Heartfelt Blooms Stamp Set! 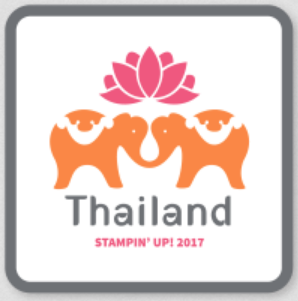 Remember you can get this stamp set FREE with an order of $50 (before shipping and tax) during the Sala-A-Bration event. 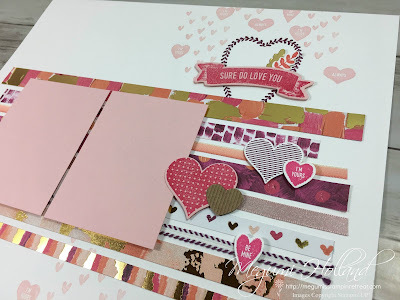 Can you tell I am having too much fun making pretty projects using the Sure Do Love You Bundle in the Occasions Catalog? Oh, yes! How about the striped heart image stamped inside of the gold embossed heart? It is from the Heart Happiness Stamp Set which comes with 15 heart stamps. You can never have enough of those, right? I just love the way it stamps giving you a soft look. 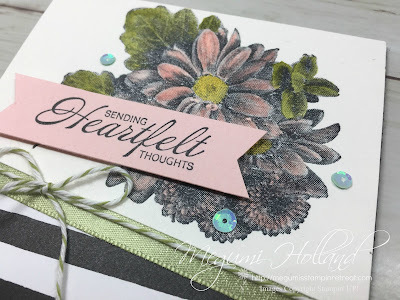 I stamped the image on a piece of Whisper White card stock and ran it through my Big Shot and then adhered it with some Dimensionals but you could just stamp it inside of your gold embossed flower. I wanted a dimensional look for my card. Hope you like my card!!! Hello Stampers! 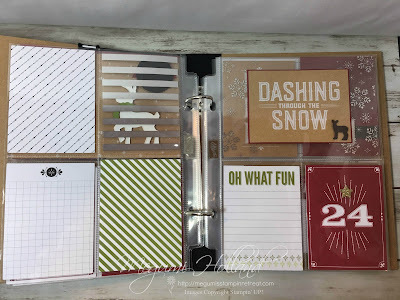 I am super excited to share my January Scrapbook Club project with you today. Actually I just came home from the workshop. It was so much fun! 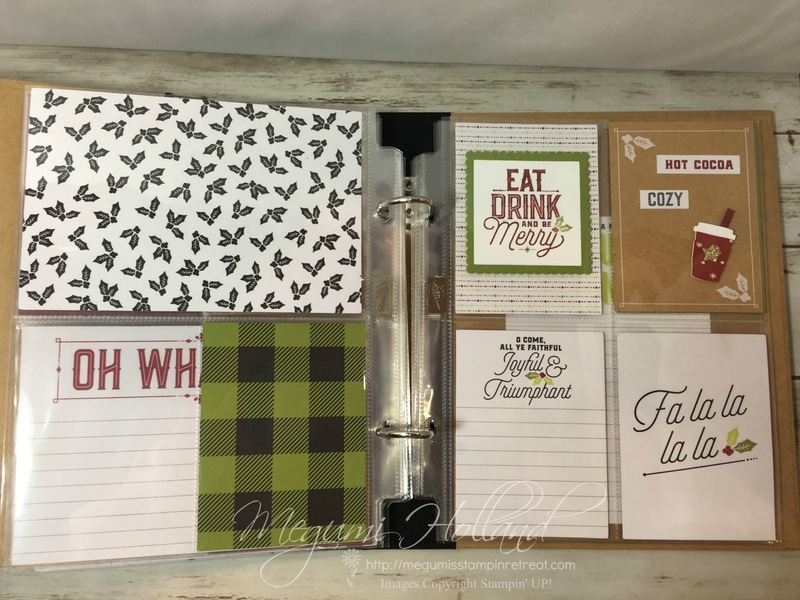 I love scrapbooking!!! How about you? I used two stamp sets from the Painted with Love Suite in the new Occasions Catalog - the Sure Do Love You and the Heart Happiness Stamp Sets. 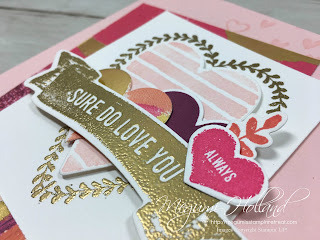 The Sure Do Love You Stamp Set is available as a bundle with the Lots to Love Box Framelits Dies. What a fun bundle for any Valentine's Day projects! The Painted with Love Specialty Designer Series Paper is so colorful and gorgeous with gold foil accents. 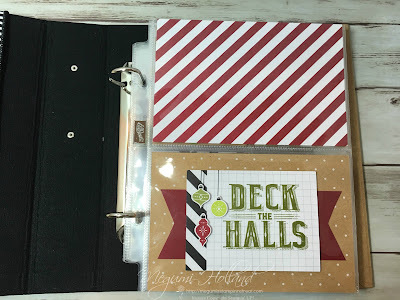 For my first page I cut multiple patterns of the DSP in different sizes and made a horizontal pattern with three strips of ribbon (Calypso Coral 1/4" Ombre Ribbon, Powder Pink 3/8" Shimmer Ribbon and Rich Razzleberry 1/4" Stitched-Edge Ribbon). 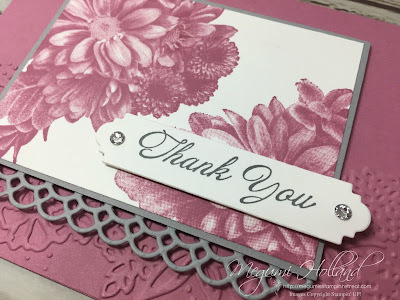 For my second page I adhered five 3" x 4" DSP pieces and one piece of Powder Pink Card Stock which is embossed with the new Scattered Sequins Dynamic Embossing Folder. The Rich Razzleberry heart and Melon Mambo "love" die cuts are from the Sunshine Wishes Thinlits Dies. It's my favorite die set! Hello Stampers! 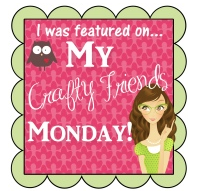 I'm having so much fun creating pretty projects for my January workshops. 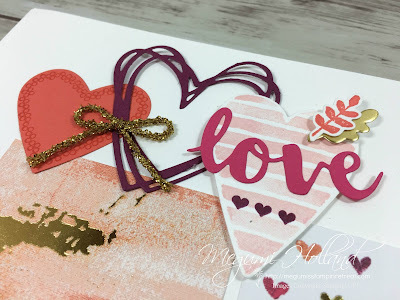 The Painted with Love Suite is my pick for this month. Have I ever mentioned I LOVE my job??? So fun!!! 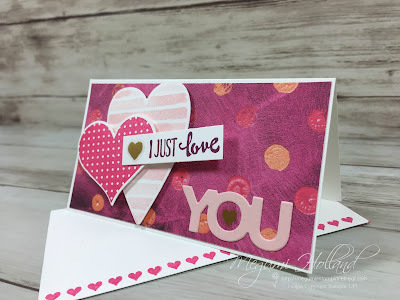 Here is one of the cards I made using the Sure Do Love You Bundle (Sure Do Love You Stamp Set and the Lots to Love Box Framelits) in the new Occasions Catalog. 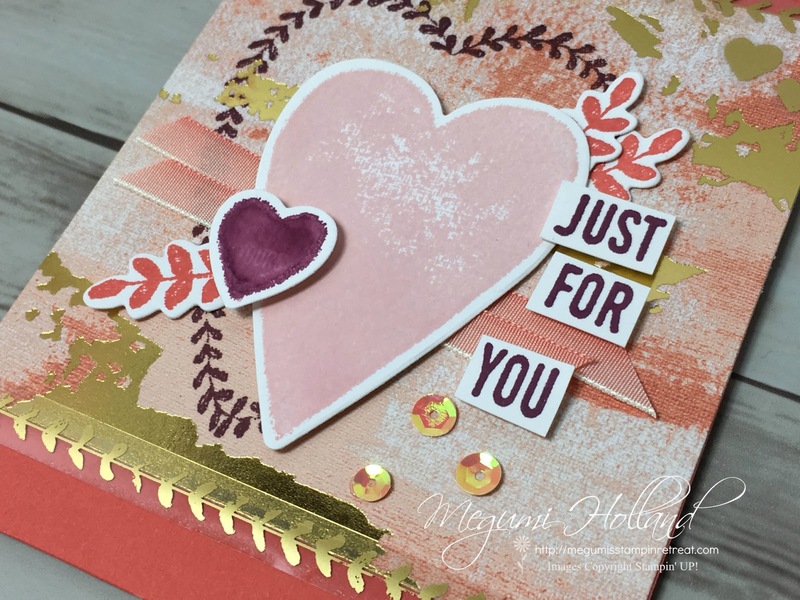 To make this card I chose Calypso Coral, Rich Razzleberry, Melon Mambo, Powder Pink and gold colors from the Painted with Love Specialty Designer Series Paper. This paper pack offers colorful and sophisticated designs with gold foil accents. You get gold foil accents on one side, brushstroke imagery on the other. It's so pretty! Happy January 3rd everyone! 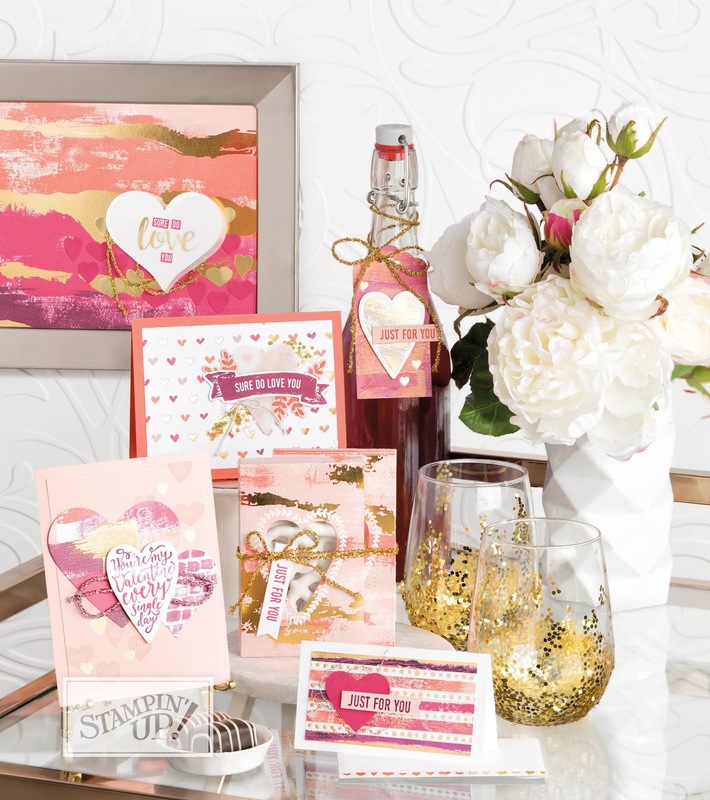 The 2018 Occasions Catalog and Sale-A-Bration Brochure sales periods begin TODAY!!! 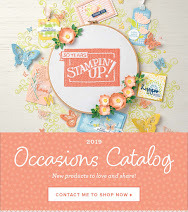 You can start taking advantage of amazing Sale-A-Bration benefits when you order from the Occasions and Annual Catalogs. Occasions to Love! 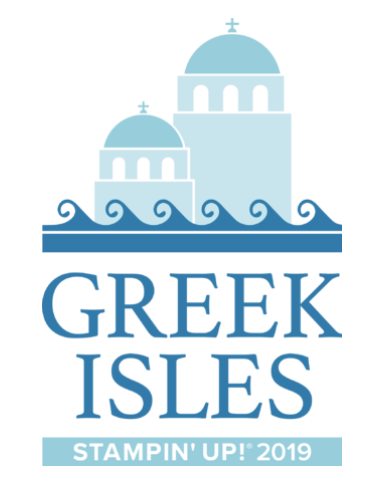 - New Products! New Possibilities! If you are a Stampin' Up! fan, you wait all year long for this biggest promotion of the year to earn exclusive FREE products with every qualifying purchase! Right? Well, you are not alone....ME TOO!!! February 16 - Watch for another set of special Sale-A-Bration items coming. Click HERE to view the Sale-A-Bration Brochure (pdf). SHOP! - Here is the deal! For every $50 (before shipping and tax) you spend, you will receive a free Sale-A-Bration product. And this year we are adding a new reward level, giving you more flexibility and options for your free items. Just look for the $50 and $100 reward icons throughout the brochure. If you spend $50 (before shipping and tax), you get one free level 1 product. If you spend $100 (before shipping and tax). you get one free level 2 product OR you can choose 2 level 1 items. If you spend $150 (before shipping and tax), you have the options to choose three level 1 items, OR one level 1item and one level 2 item. HOST! 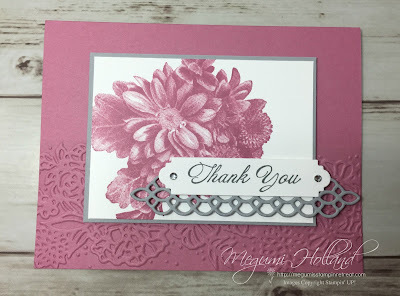 - Host a stamping event and share your passion. 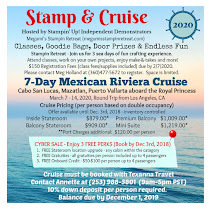 Plus, when you host a qualifying party ($250 in party sales) during Sale-A-Bration, you will get more Stampin' Rewards-$25 more!!! 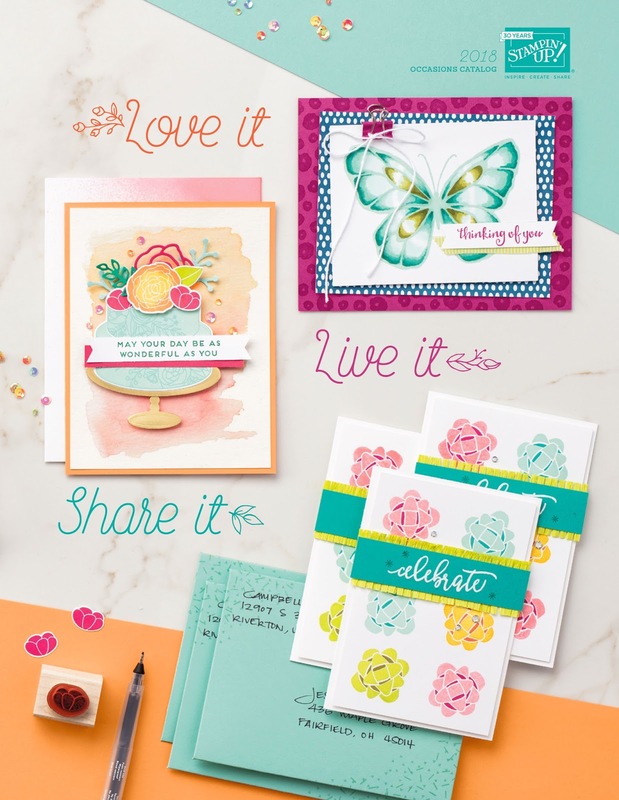 You can even put your Stampin' Rewards toward the cost of your Starter Kit. What a sweet deal!!! JOIN! 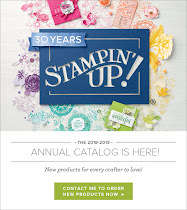 - It's the BEST time of year to join Stampin' Up! During Sale-A-Bration, you get even more rewards, and live what you love! 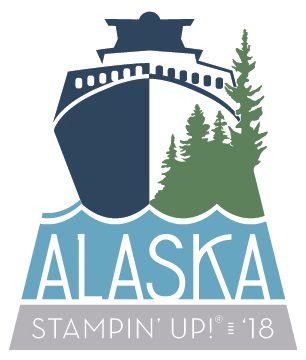 FIRST - Choose $125 in Stampin' Up! products of your choice to customize your starter kit for just $99 with FREE SHIPPING! 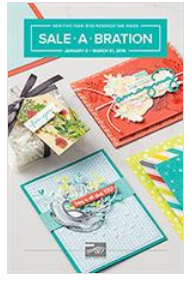 SECOND - Choose TWO additional FREE stamp sets of your choice from the annual or Occasions catalogs. That's up to a $101 value!!! 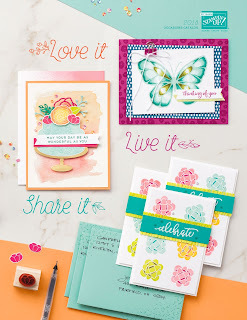 Please note that bundles, kits, and Sale-A-Bration items cannot be selected as free stamp sets for this promotion. Happy New Year everyone! I hope you had a wonderful holiday season and captured all the great memories of your family and friends. 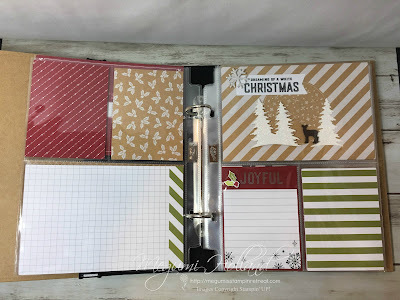 I have a great project to share with you today from my December Scrapbook Club. 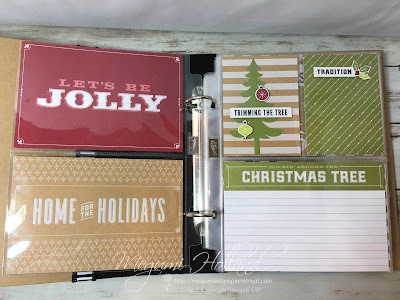 In fact, we really enjoyed making a Christmas Scrapbook and decided we will do it every year.....and may be every season???!!! The Merry Little Christmas Memories and More Card Pack includes 72 total double-sided cards and the patterns are so pretty. I stamped on one of the 3" x 4" cards and added three ornament stickers from the Pack. It's super easy and quick! The big tree is a die-cut from the Santa's Sleigh Thinlits (140278) and embellished with some ornament and sentiment stickers. 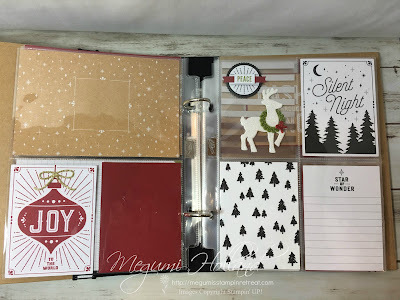 My picture of these pages does not give you a clear shot of the reindeer but he is gorgeous! 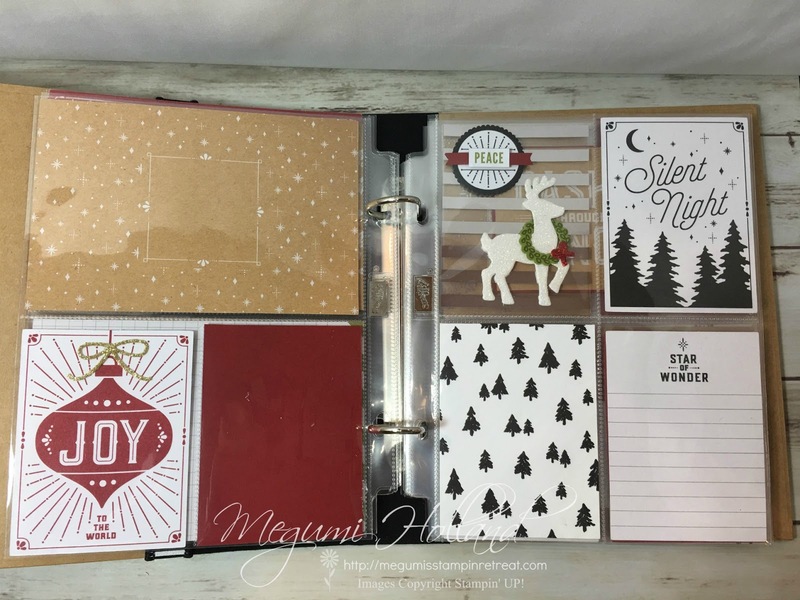 I used the Dazzling Diamonds Glimmer Paper to die cut using the Santa's Sleigh Thinlits and adhered it onto an acetate card with silver foil design. It's so pretty. I used both sides of the 4" x 6" snowflake acetate card (see next photo for the opposite side) to embellish it with some stamping and die cutting. The acetate card has beautiful snowflakes all over the card with silver foil design. One of my favorite card is the Santa's coat. It's so simple! I made a belt with a strip of Basic Black card stock and a square Silver Foil and added a small Basic Black square. I also added 3 Clear Faceted Gems. 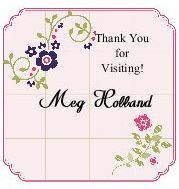 By the way, did you know you can color them with any of the Stampin' Blends Markers? The full size Santa is made using the Santa's Suit Bundle (Santa's Suit Stamp Set and Santa Builder Framelits). I also used the Ivory Stampin' Blends Marker to color his face. I left some sections of the page protectors blank so that they can be easily filled with photos or keepsakes.